In 2006, I researched and wrote a report for Fauna and Flora International (FFI) on the Bunong, one of Cambodia´s indigenous minorities. The Bunong live mostly in the north eastern province of Mondulkiri, an area of high barren plateaus, dense rainforests and virtually no roads, bordering on Vietnam. The report was published in English and Khmer, primarily to create awareness within the Cambodian government and the business community for the plight of the indigenous people of northeastern Cambodia and for their ability to manage natural resources in a sustainable manner. 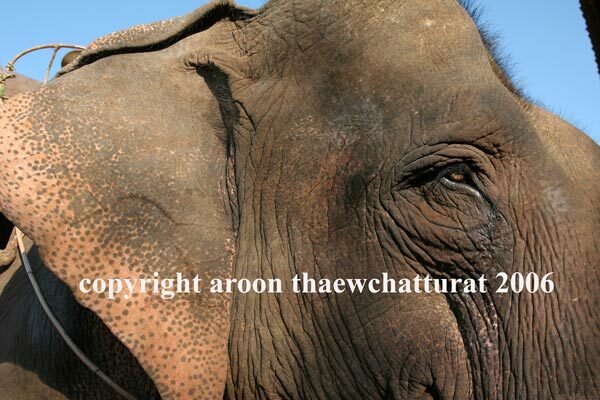 The fate of the remaining elephants in Mondulkiri is dependent on the continuing survival of the Bunong culture, which has since taken a serious beating from all the developments this report warns about. This is Part 4. Read Part 1, Part 2 and Part 3 here. Part 4 – Cambodia’s challenge – Possible safeguards for cultural diversity and natural resources. The Bunong, hardly known and often misunderstood, appreciate Cambodia’s struggle for development and conservation and would like to be part of it. Cambodia, for the first time in recent decades, has achieved sustained economic growth. But, as a result of uncontrolled investment, the country is currently facing environmental and social challenges that could deny the nation of Cambodia the unique opportunity to safeguard and maintain some of the world’s biodiversity hotspots. Mondulkiri is one of them. The Bunong are an integral part of Mondulkiri culture, along with the rolling grasslands, the magnificent jungles and Cambodia’s last remaining wild elephants and tigers. Clearly, the Bunong’s relationship to their environment and the forest shows that the two are so intimately connected, that one needs the other to survive. Today the province is at a crossroads. Initial optimism regarding resource exploitation could be misplaced – it is unlikely that waves of settlers moving east and the widespread logging and burning of grasslands to make room for monocultures will benefit the people of Mondulkiri in the long run. It is more likely that outside, especially foreign investors, will make a concerted effort to squeeze short term profit from the land. It is up to all Cambodians to manage this development. The Bunong alone do not have the power to do so. 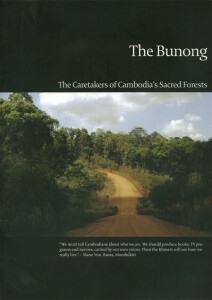 Cambodian land law states that the Bunong collectively own their land. Any challenge to this ownership spells future resource impoverishment for the entire country. But while the Bunong have adapted, for the most part, to the law – they have discontinued capturing elephants from the wild, and are doing their best to protect their Spirit Forests, developers have taken far less notice of legal restrictions. Investors have been offering some Bunong families modest amounts of cash to give up the land they have been farming for centuries. 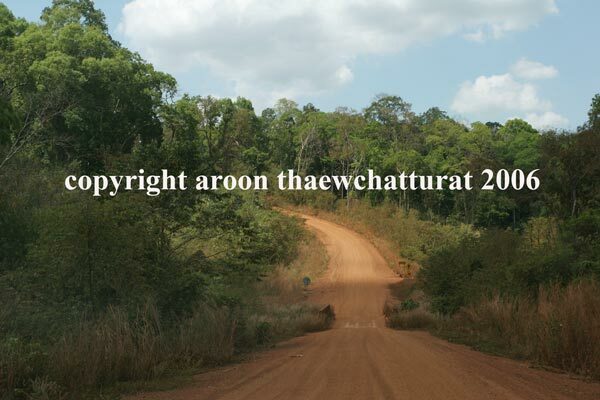 Cambodia’s land law of 2001 makes such sales invalid and illegal. Cambodia already has the necessary legal safeguards against land exploitation, yet in practice, these are often ignored. Large scale economic concessions are given to foreign companies who promise short term gains, but are likely to deliver a long term loss of environment and culture. In neighbouring Thailand, such mistakes were made, when primary forest was cut in order to make room for monocultures. Today Thailand bemoans its loss of forest and the country’s wild animals are cornered in a few small national parks. Cambodia’s wilderness areas, managed by local government and local people could far surpass their neighbors’ protected areas as repositories of some of the world’s most unique animal and plant species. The Bunong are experiencing a cultural shift towards the modern Cambodia. They would like to play a larger part in the market economy. With improved health services and the influx of outsiders, the population of Mondulkiri, both Bunong and Khmer, is likely to increase in the next few years and put further strains on the forest. As such, inclusive conservation management, involving both local people and government agencies, is essential, if Cambodia is to save one of its greatest assets – the Bunong tradition.